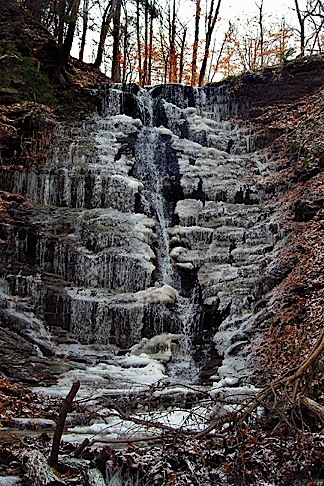 Location: Cascade Falls is located on private property. Cascade Falls is located on private property to the southwest of the Village of Wyoming. Permission to view the falls must be obtained from the landowners. Locating the owners is your responsibility. I was asked not to publish the owners name on the internet. If you wish to view this falls you must do the research to locate the owners. It is not that hard to do. I found both landowners to be very willing to grant access. 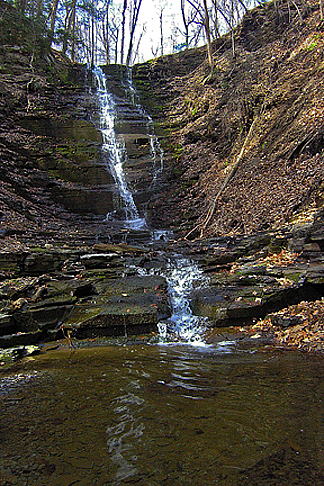 Please respect the landowners rights and do not trespass to view this 50 foot tall waterfall.